Manager Gil Hodges led the Mets to an improbable 1969 World Series Championship. He was a stern disciplinarian who took no garbage, but also respected the players & let them prove themselves. His leadership is the players on that team said made them play to the best & above their abilities. In this example, Hodges spoke to a fiery tempered Jerry Grote & helped bring him down a notch. Jerry Grote came from the Houston Colt 45's (later to be the Astros) for pitcher Tom Parsons in October 1965. Parsons was 2-12 with a 4.58 ERA in two seasons with the Mets (39 games). He never played a game for Houston at the major league level. Grote noted for his defense, batted just .181 in Houston in 1964 with 3 HRs 24 RBIs. This was one of the Mets brilliant trades early on in their history. Grote would get to two World Series with the Mets, play on the team for 12 years, mostly as the main catcher in every season. He was voted onto the 1968 All Star team by the players ahead of Johnny Bench. Bench once said of Grote, if he were the catcher on my team I'd be playing third base. Grote became known as one of the best backstops in league defensively during his era. At first Grote had a big temper problem. He would argue with umpires, batters, even his own pitchers. He would sometimes throw the ball back to the mound harder than the pitcher threw it to him. The first time he did it to Tom Seaver, Seaver called him to the mound & told him to never do it again. Grote was tossed from games for arguing with umpires & making it bad for his pitchers by doing so. No way he was getting any close pitches his way. 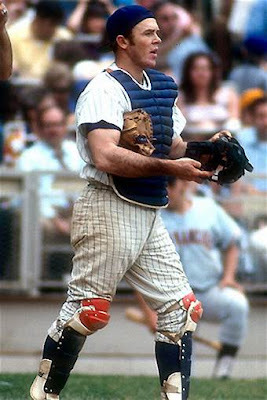 Mets Manager once said of Grote "if he ever learns to control his temper, he could be the best catcher in baseball". 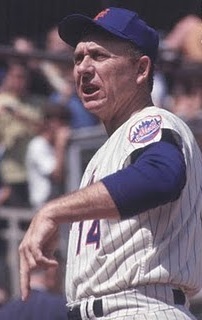 Once during a1968 intra squad game in Spring Training, Grote even managed to argue with the umpire. Manager Gil Hodges called him into his office. Hodges told Grote he was not doing what he is capable of doing to help the pitcher. 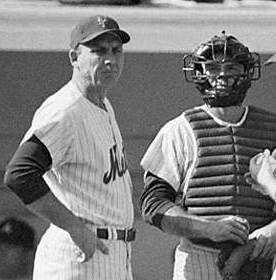 Quotes- Gil Hodges: "There's a time to argue, if you think he's blown a call, tell him. Then you get over it. You have to be more concerned with the course of the game. You have to think about situations. There's more to catching than putting down one finger & here comes the fastball. You cant get all riled up." Hodges warned Grote about throwing the ball back to his pitchers hard, when he was shook off on signs, stop it. At the plate, Hodges had Grote cut down on his swing & go the opposite field more often. Grote also had the advantage of getting tips from Yogi Berra who was a coach with the Mets & later became his manager. No doubt Hodges influence got Grote to calm down & be good at his position for another decade. 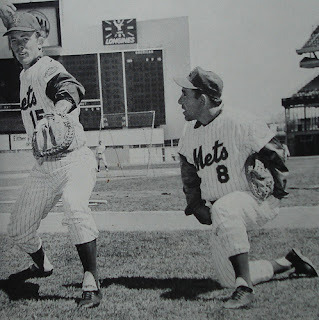 Knowing how important pitching is, Grote may have been the first person in 1969 to call the Mets Miracle. When he saw the staff he was catching, he said " we can win it all". A bold statement in Spring of 1969.